This painting has sold ($430.00), and will now reside in intenselygreen's collection! Click here to view the Auction. iTunes! Who would've thought an application would change our world so much? Originally developed by Jeff Robbin and Bill Kincaid as an MP3 player called SoundJam MP, it was bought by Apple in the year 2000 and the rest is history. Think about it, iTunes has taken our collective geeky consciousness to where it is today... jammed packed full of iPods, podcasts, the freaky visualiser, movies, and now the iPhone. It introduced a profitable solution to pirating that is convenient for customers... just 99 cents a pop song, and in the process, has made Apple a powerhouse again. With the recent announcement of over 3 billion songs sold via iTunes, I decided to do something to commemorate. 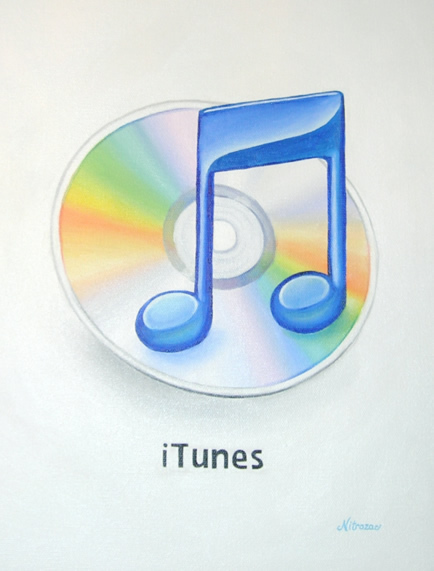 I love iTunes, and I love its icon, so I painted it, expressing my love for it. You probably love iTunes too, and you'll definitely love the oil painting! Snaggy and I did this comic about iTunes starring the iTunes logo (and many more iTunes comics) in this JoT, enjoy! 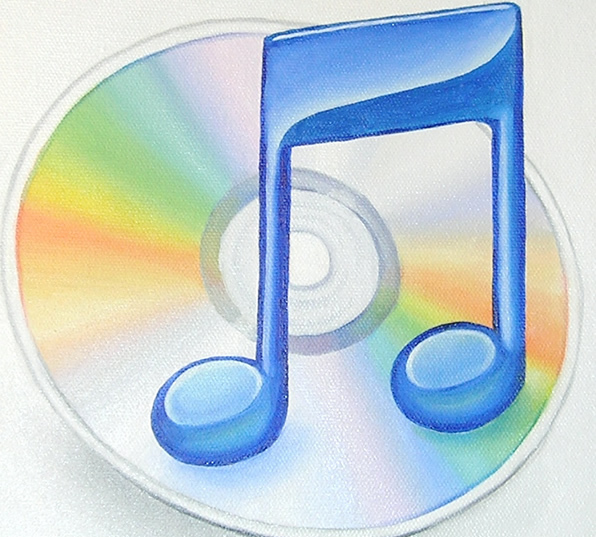 Details: "iTunes" is Nitrozac's 28th paintng of her Painting Blog. It's an oil painting, on 11 x 14 inch stretched canvas. As it is oil paint, it will take a couple of weeks to dry completely. The painting will likely be ready to ship two weeks after the auction ends. The back of the painting will contain the title, the date painted, Nitrozac's signature, and a fingerprint for authenticity. Best of luck to all bidders!